Save 10% off on new reservations 6 nights or longer sailing the Virgin Islands through the end of July 2019. Available now through 31 Jul 2019. Confirm before 12 Jul 2019. Hailing from the Grand Strand of Myrtle Beach, South Carolina, John is a true southern gentleman. Working on boats and around marinas since a teenager, John has had a long-lasting relationship with the sea. He graduated from the College of Charleston in Charleston, SC and he has been pursuing a career on the water ever since. He has been the mate/engineer aboard a busy 95ft charter motor yacht in the Bahamas and entertained guests from all over the globe. In addition to being a fully competent waterman above the surface, John’s passion for diving led him to earn a PADI Divemaster. John and Alyse are ready to continue the Sweetest Thing tradition of spoiling their guests! Their yachting background is well-geared towards providing great service, fun companionship and an unmatched attention to detail which ensures that guests will be in good hands. Their love for the outdoors and related activities ensures that there is lots of FUN to be had by guests of all ages! Spending a week on the water with these two is sure to be the Sweetest Thing! 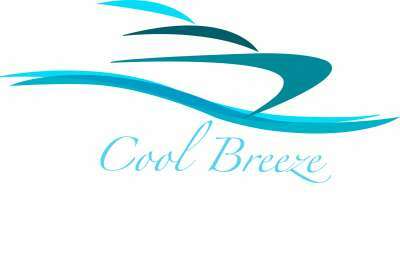 Contact us for rates and current availability or to book a charter aboard Cool Breeze! Scuba Info Captain John is a dive instructor. Scuba Terms 3 dives per week included for certified divers, additional dives $25pp per dive. Mexican frittata. With tomato, pepper, and avocado, served with fruit. Nuts-and-seeds banana bread. Served with bacon and fruit. Coconut flour pancakes. Fluffy stacks topped with warm blueberry sauce, served with sausage. Chocolate zucchini breakfast muffins. Served with bacon and fruit. Eggs benedict. Served over turkey bacon and English muffin or greens, with fruit. Sweet potato home fries. Topped with a fried egg, served with sausage and fruit. Broccoli and sausage frittata. Served with fruit. Pizza any way. Homemade pizza crust* with your choice of toppings. Served with Caesar salad. Buffalo curry soup. Packed with veggies and ground buffalo meat. Served with fresh cornbread. Chicken kebabs. Colorful skewers served on a bed of greens and fiesta rice. Ceviche bowl. White fish marinated in citrus, mixed with crunchy veggies, served with tortilla chips. Turkey empanadas. Ground turkey baked or fried inside a doughy shell, served with broccoli cheddar soup. Herb-roasted chicken. Served beside a hearts of palm arugula salad with lemony dressing and a baguette. Antipasto. Meats, cheeses, sliced fruit, nut butters. Chickpea fritters. Crispy bites made with garbanzo flour, with mint sauce and ricotta dip options. Shrimp canapé. Grilled shrimp served on cucumber slices, with a chili lime cream. Spring rolls. Crunchy vegetables wrapped in a crispy shell,* with a sweet and sour sauce for dipping. Nachos tostones. Twice-fried plantains topped with bacon, avocado, and sour cream Brussels sprouts dippers. Crunchy roasted veggies with a chipotle lime aioli for dipping. Bacon-wrapped scallops & dates. Served with an orange-ginger sauce. Sesame-crusted tuna steak. Served with ginger-braised bok choy and roasted squash slices. White fish in a creamy béarnaise sauce. Served with roasted broccolini and herbed quinoa. Orange rosemary glazed salmon. Served with whipped celery root and roasted asparagus. Buttery broiled lobster. Served with herbed cauliflower risotto and roasted zucchini spears. Handmade lamb ravioli*. Stuffed with lamb and spinach, tossed in a sage butter sauce. Mustard and beer-braised pork tenderloin. Served with dill-roasted carrots, mashed turnips, and cornbread. Peppercorn-crusted sirloin steak. Roasted cabbage wedge drizzled with Dijon butter sauce, sweet potato fries. Coconut crème caramel. Custard lined with caramelized coconut sugar. Mint chocolate mousse tart. Cold and creamy. Crepes. Warm crepes filled with fruit, topped with cream. Flourless chocolate cake. Dense and decadent. Peach parfait. Layered with creme anglaise and cookie crumbles. Chocolate chip cookies made-from-scratch. John & Alyse were wonderful! I don’t think either of them sat down, ate or slept while we were on board. They were either busy preparing meals, sailing, taking us out on excursions or cleaning up from the assortment of activities that took place. The accommodations were very nice - comfortable and clean. it was always a treat to come down after breakfast to a made-up bed and usually to finding our items hung out to dry folded for us on the kitchen table. The itinerary was great and we got a good amount of time spent sailing and doing land excursions.